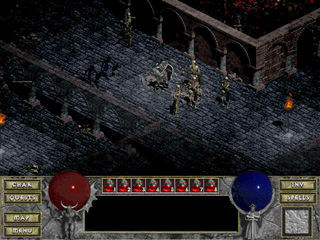 Diablo is a most famous hack and slash role-playing game created by Blizzard and released at the end of 1996 for Windows. 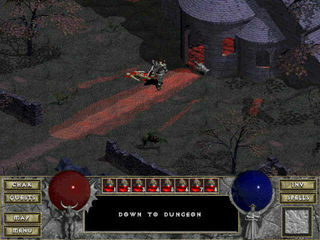 Diablo is a most famous "hack and slash" role-playing game created by Blizzard and released at the end of 1996 for Windows. Two years later it was released to Macintosh. It is not only one of the most popular RPG ever created; it's the title that redefined the concept of "action RPG" and "hack & slash." It is so influential that today we still see clones or games inspired by it. 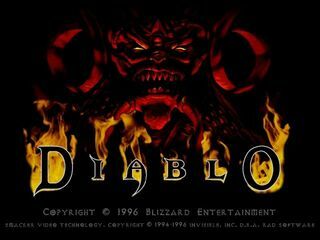 When it was released, Diablo was elected Game of the Year, but 30 years later you can always find its name in many lists of the Greatest Games of All Time. 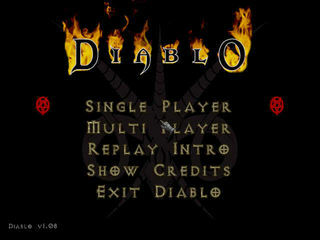 Initially conceived as a turn-based game by its designer, David Brevik, Diablo was instead changed into a real-time action RPG, where you control the player with the mouse, and clicking is required to move and attack. A marvelous set of skills and spells, computer-generated levels, and tons of items to find and collect, add depth to the gameplay. 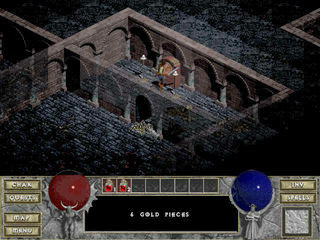 Maybe only its successor, Diablo II, released in 2000, was able to surpass the awesomeness of Diablo. 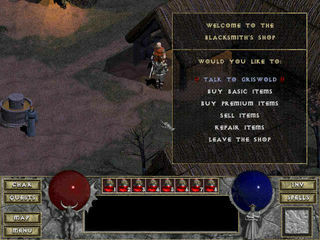 Diablo I is no longer available for sale, and it's complicated to run it on modern OSes, anyway, we were able to pack a working version. Unfortunately, we are not able to host the full version, so the music is missing (but you can find it on YouTube, or you can buy it on iTunes).